Thanks to everyone who entered last week’s giveaway, I have another for you today. This time it’s for a copy of Love Them And Leave Them by Sue Shepherd. Sometimes you have to leave the one you love … sometimes you’re the one who’s left behind. The new heart-warming and heart-breaking romantic comedy from the No.1 bestselling author of Doesn’t Everyone Have a Secret? 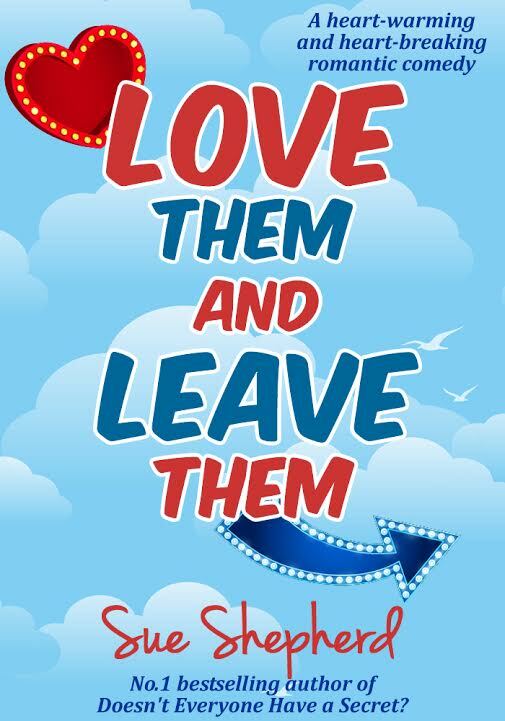 Love Them and Leave Them is a story of love, families, friendship and a world of possibilities. Whichever decision Ed makes, the same people are destined to come into his daughter’s life, sometimes in delightfully different ways. And before they can look forward to the future, they will all have to deal with the mistakes of the past. Jessica could feel her knees knocking so badly she wondered if Mr Ainsworth could hear them. He was the senior partner; he’d been in court for much of the case and, of course, he was here for the verdict. Bloody hell. Bloody hell. Bloody hell. Jessica could barely breath. Just as she was starting to feel pretty queasy and wondering if she was actually going to make a giant arse out of herself by fainting in front of the whole court, the verdict was announced. Clearly, the cosmic ordering had worked. Or maybe Jessica had simply done a good job and presented a watertight case. Whatever the reason ‒ the jury agreed with her. She couldn’t suppress the grin on her face. Her client was less formal; he chose to hug her, whilst thanking her profusely. He was a free man. He made his way over to his appreciative family and his wife gave Jessica an ecstatic thumbs up that truly made all the late nights worthwhile. Jessica was so excited she could burst. I’m a successful barrister! After she’d called Nick and told him, there were two other people she couldn’t wait to tell. ‘How was the house, sweetheart?’ Ed opened the door with the question on his lips. His shirt sleeves were rolled up and he was wearing casual trousers, his standard ‘working from home’ attire. ‘How do you think?’ Jessica asked with a beam. ‘Yep, we did.’ Jessica gladly welcomed his offer of a congratulatory bear hug. So, Jessica settled down for a natter and a mug of tea with her dad. She loved being here, her parent’s fairly ordinary, semi-detached house. Six years ago she’d gone travelling with her friend, Gemma. They’d taken a year off to see the sights of Australia and Asia, before each beginning a university course. It’d been an amazing time, and she’d had a world of experiences, yet she’d been more than happy to return here when the year was over. ‘Well, if you’re honestly not in a rush, there’s a lamb thing in the slow cooker. Stay for dinner if you like?’ Ed’s expression was hopeful. At twelve, Tom was one of the most annoying, but lovable, things in her life. There were way too many years between them for their relationship to be one of a normal brother and sister. Jessica had been a gawky, almost thirteen-year-old, when her mum had announced she was having another child. She’d been embarrassed to discover that her parents were still ‘up for it’ and had assumed the baby was a dreadful mistake. A one off? She sincerely hoped so! 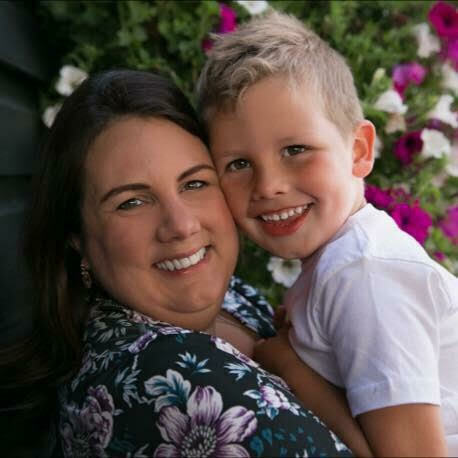 Unbeknown to her, her parents had had secondary fertility problems and had failed to get pregnant so many times after having her that they’d given up and made their peace with their lot. Only to be surprised, years later, at the conception of a healthy baby boy. Tom had arrived into a hi-tech world of computers, smart phones and the internet. From an early age, he’d shown himself to be a whizz with all things technical. Or maybe that was just if you compared him to the other three members of his household. He was their ‘go to guy’ if they needed anything re-programmed or if any of them bought a new phone. Jessica loved him dearly, even with his sometimes less than complimentary turns of phrase. ‘You won? Nice one.’ Tom gave her a high five. ‘That is just … oh my … I’m so proud … you’re amazing … I wouldn’t even know how to …’ Lynda dissolved into happy tears. ‘I know. It’s fabulous news. Hasn’t she done well?’ Ed agreed. To get your hands on a copy of Love Them And Leave Them click here or enter the giveaway below. Good luck! Thanks for joining me on the Blog Tour, Laura. I’ve really enjoyed having a look at all the other topics on your website.